Renewal time offers a reality check that you are, in fact, getting the best deal on your home and contents insurance. The temptation to leave this type of insurance as it is and just renew it can lead you down the path to disappointment if you’re not careful. After all, the same level of cover that you had last year may not be suitable this year. Home and contents insurance is one of those set and forget expenses and it’s tempting, when the insurance policy renewal notice comes in, to simply pay the insurance premium and leave it at that. 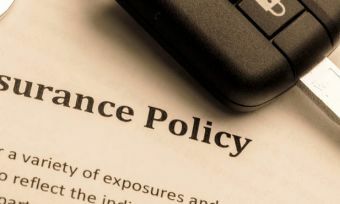 It’s also tempting to not think about it until the day the premium is due to be paid – therefore reducing the chances that you’ll actually shop around and compare home insurance policies. In reality though, and if you’re serious about comparing your options, reviewing your level of home and contents insurance cover should start well before renewal time. Ideally you will have already worked out if your house and possessions have increased or decreased in value over the last year. Have you bought a new entertainment system, expensive jewellery or new appliances? We’ve put together some helpful thought-starters on how to work out building costs and contents costs – check out our articles. These will give you a better idea of the levels of insurance cover you really need in the event of loss or theft. The best thing you can do (to reiterate the point) is to leave plenty of time before your renewal is due so you can shop around and compare policies. Don’t leave it to the last day to renew your insurance – you’ll be tempted to stick with your current insurer because it’s easier than looking around for a better deal. Follow these tips and start shopping around early. Compare home and contents insurance policies between providers, because there can be a significant difference in both price and features. Do you need more, less or the same level of cover as last year? By shopping around, you may find that you can get a better level of cover for the same price you’re paying now, or alternatively, the same cover for a cheaper price. With online quoting, you can easily see what excess options you have that will make your premiums cheaper. Weigh up the difference between having a higher premium and lower excess versus the opposite. You may be able to save on your premium by increasing your excess. Check to see if there are any discounts you can grab – perhaps as a new customer, applying online or paying the premium annually instead of monthly if that’s cheaper. Remember, though, to balance the price you’re paying with the features that the policy offers. An outstanding value policy is one that will have the optimal combination of the two. If you do find a new home insurance policy that is better value for your needs, then make sure there’s no time gap in coverage between cancellation of the old policy and the start of your new policy. Insuring your home and contents correctly is vital so check your policy each year when renewal time comes around. It can save you money and heartache, should you ever have to make a claim.